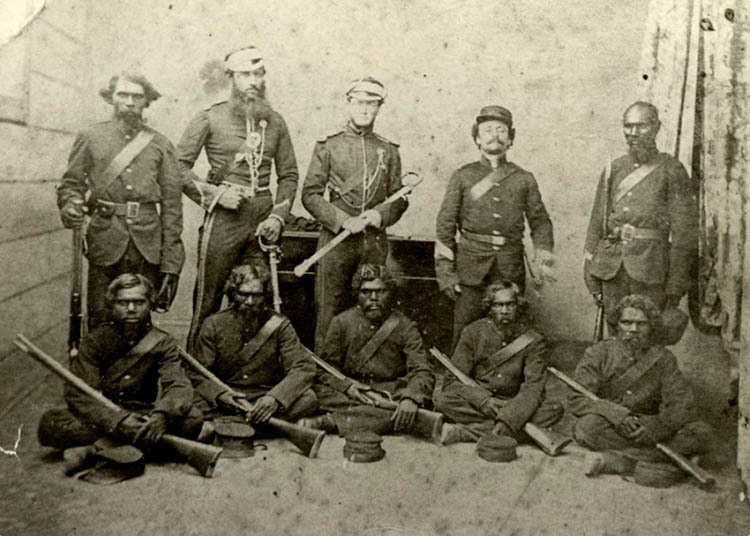 Native Police of Port Phillip, 1850. 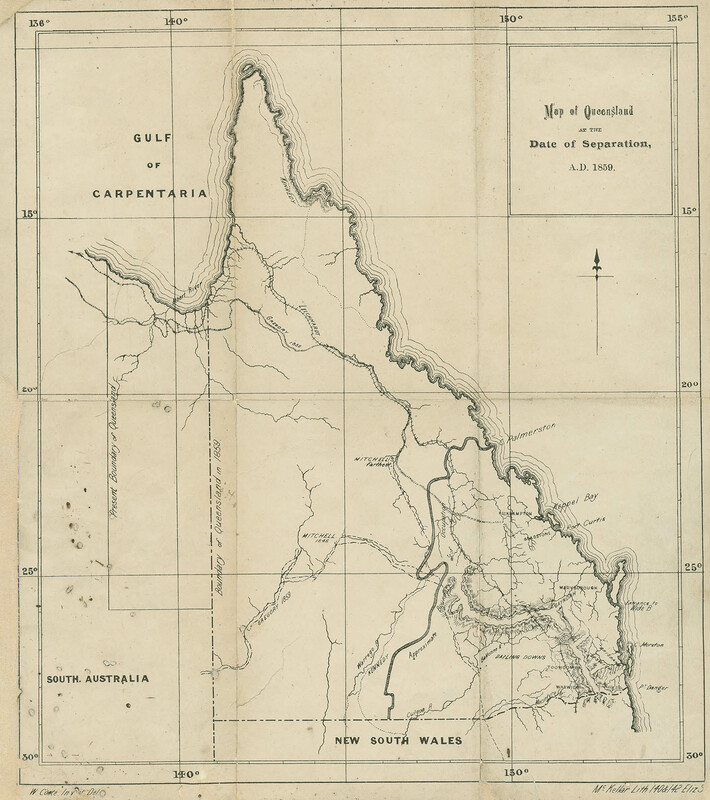 News travelled slowly in colonial Queensland, despite the best efforts of the bush telegraph: gossip passed in whispers along mail routes and cattle droves and between overlapping station hands, ferrying rumour and supposition up and down the frontier. Daily papers rarely reached the outback. If you were lucky the mail came once a week. This meant that for much of the 19th century the Queenslander weekly journal, first published in 1866 in the colony’s capital Brisbane, provided a valuable summary of goings-on, by way of a digest of newspaper articles printed over the past seven days. We understand that Inspector Wheeler has resigned his position as Inspector of Native Police at Marlborough … Inspector Wheeler is one of the oldest officers in the force, and we are informed that in a very short time he would have been entitled to a retiring pension. Few probably know the full extent of the onerous duties devolving upon an inspector of native police, or the fatigue and hardships which he is sometimes called upon to undergo. In our own neighbourhood, at one time, the blacks used to spear cattle, and do all sorts of mischief; but Inspector Wheeler, with his little band of black boys at his heels, inspired the aborigines with such a wholesome dread, that it was only necessary, when on any of their marauding expeditions, to say [his name] and they would go yelling pell-mell into the bush. Times have changed for the better in this part of Queensland; and let us hope that Inspector Wheeler may long enjoy, in his retirement, the peace and quiet which he has so well earned. Beneath the jocular tone and apologetic subtext, the reality of colonial policing is chillingly exposed. 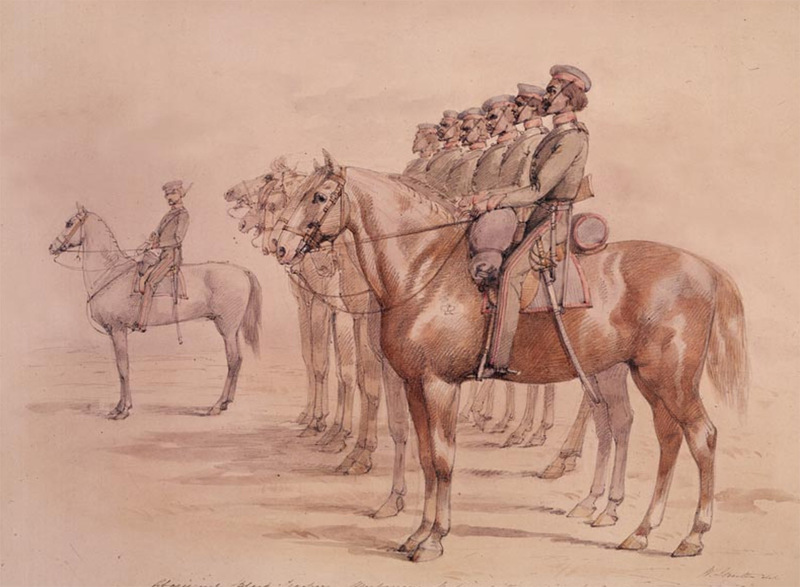 The Native Police operated from Queensland’s formation in 1859 until the early years of the 20th century. It is considered by some historians to be the single biggest killer of Aboriginal people in the colony at that time. Frederick Wheeler was one of its most infamous officers. While there is no mention of the circumstances surrounding his resignation, or of the various warnings and reprimands issued to him over the years, less than a year later Wheeler was reinstated, only to be soon charged with murder after beating a young Aboriginal man to death. He absconded before trial, disappeared, then turned up dead in Java six years later, meaning he was never held accountable for his crimes, but his legacy is clear. Such was Wheeler’s arrogance that before an earlier Parliamentary Inquiry into the practices of the Native Police, he brazenly explained that there was only one order to which he adhered, namely to ‘disperse all assemblages of the blacks’. And what did disperse mean in this context? ‘Firing at them,’ he said. If this scenario sounds familiar, it is most likely from tales of the American south-west, which Queensland strongly resembled in those early days: a vast landscape of flat, arid scrub, giant sandstone monoliths sprouting improbably from the ground; single-street townships scattered hopelessly through the bush; ruthless cattle barons (known as squatters) and struggling pioneers. It was a brutal time, where drought ruined livestock and crops frequently failed and settlers lived in constant fear of Aboriginal attack, fuelled by the notorious massacres of white families at Hornet Bank (1857) and Cullin-La-Ringo (1861), and a pervading terror of the unknown. The settlers demanded government protection. Its answer was the Native Police. For this was not some secret militia. The force operated with the same veneer of propriety as any other branch of police. Under the ultimate command of the Police Commissioner, they were stationed at formal barracks, were equipped with uniforms, weapons, horses and supplies and, in theory at least, were subject to a precise list of operational rules. But the realities of policing such a wide and isolated territory meant that theory and practice rarely aligned: the rules were paid lip service; officers’ reports were vague and filled with euphemisms (such as that word ‘disperse’); blind eyes were frequently turned. 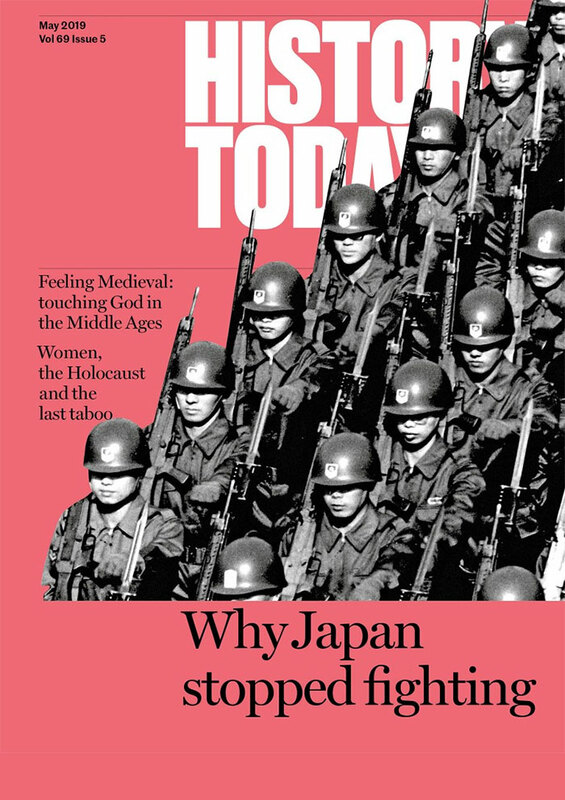 Objections to the force’s brutality were sometimes raised, mostly by people on the coast, but proving wrongdoing was often impossible after the event as there was rarely any evidence: witnesses were scarce, and scared. The same white settlers who had knowledge of what went on were the very people whose lives the Native Police were there to protect. As is obvious from the Queenslander article, there were plenty of influential people who actively supported their work and were willing to perpetuate a culture of silence about the truth. Even when official inquests were convened – and on the rare occasions wrongdoing was found – the officers in question were simply cautioned, reassigned, or quietly dismissed. The chief topic of the past week has been the trial of the seven black troopers for the murder of aboriginals at Irvinebank, and that of ex Sub-Inspector Nichols for being an accessory before the fact to the same. The trial of the troopers lasted two days, and nine witnesses were examined … The police magistrate said he considered the evidence strong enough for a committal and remanded the prisoners [for trial]. The trial of Nichols only lasted about half a day. The evidence … for the Crown was of such a nature … [that] … the police magistrate said there was not much use going on with the case … The prisoner was discharged amid considerable applause. This is not ancient history. Little over a century later the consequences are still playing out in the news and on the streets: Prime Minister Kevin Rudd’s apology in 2008 to the Stolen Generations, those Aboriginal children removed from their parents care by the federal government; court cases about Aboriginal land rights; the notorious ‘dry zones’ in the north, where alcohol is completely banned in Aborinigal areas. It is there in the denials – still – by some historians, politicians and ordinary Australians unwilling to confront the past, in the ‘Invasion Day’ protests and in the abuse frequently hurled at Indigenous football stars. In Britain, meanwhile, there is simply no acknowledgement of the part it played: Queensland remained a British colony until 1901, when the colonial legacy was handed over along with independence to become someone else’s problem. We may be a long way from the days of the bush telegraph, but even in the internet age certain news barely travels at all. Paul Howarth is the author of Only Killers and Thieves (Pushkin Press, 2019), a story of two brothers on a trail of revenge in 19th century Queensland, accompanied by the Native Police.